The Micro Inside-Outside Lift is a very special scooter lift. This lift offers the convenience of a hitch mounted lift, while allowing you to easily store your mobility vehicle inside your car. 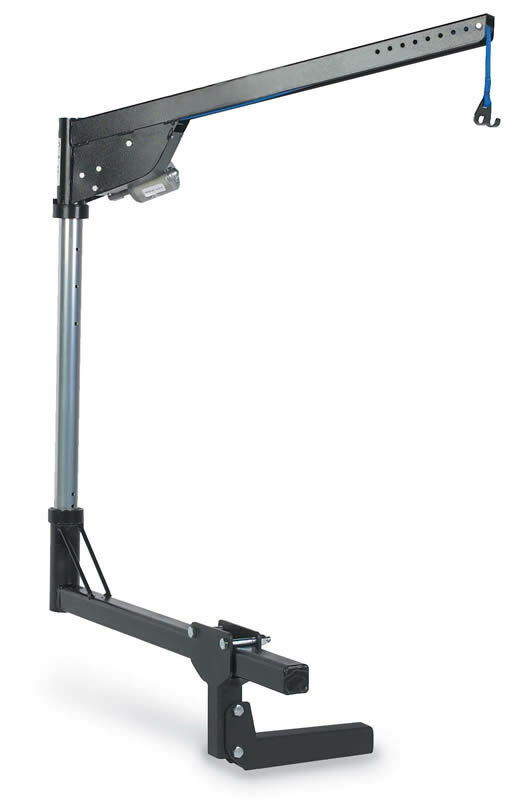 This scooter lift mounts to a Class II or Class III hitch, so it can be installed in only a few minutes, but allows you to store your scooter inside away from the elements. 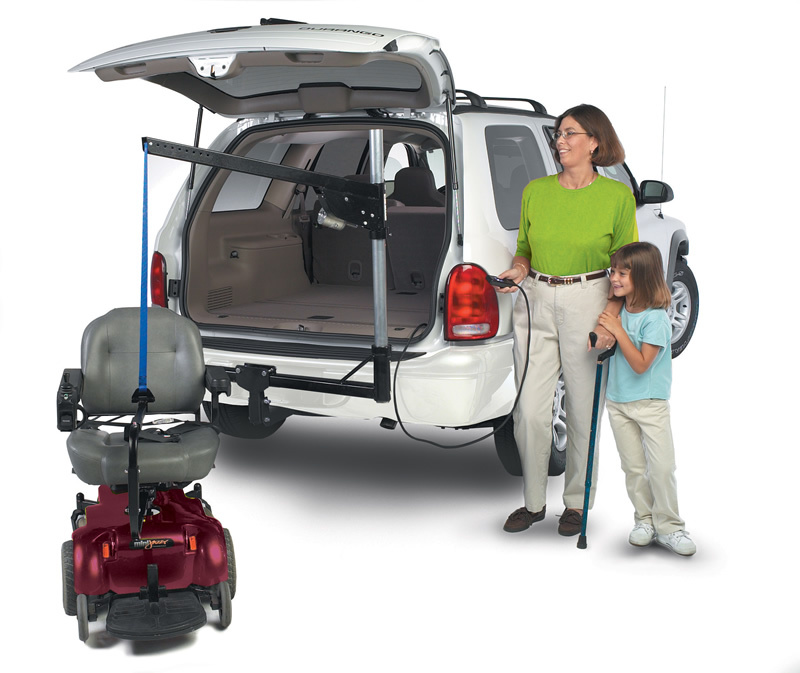 Offering the best of both worlds, the Micro Inside-Outside Lift is a very popular scooter lift.